Sergio De La Pava’s “A Naked Singularity” is an ambitious and colossal work in scope, theme, philosophy and even physical presence. “What is that?” I was asked (absurdly, all the time, as if the two covers and 678 pages in between weren’t a dead giveaway) as I carried the book with me on the El during my morning commute to work, while on a bus trip back home, to various cafes and while grocery shopping. The book does, indeed, beg for attention—the cover is a black-and-white optical illusion that makes the eyes swim, and bears the author’s name in magenta font. Well. “A Naked Singularity” follows the downward spiral of sharp-witted and earnest Casi, a twenty-three-year-old public defender working in Manhattan who, until the turning point in the novel, had never lost a case. As Casi accepts this failure, he becomes increasingly frustrated with the criminal justice system and all of its failings, namely the death penalty, the incarceration of illegal immigrants and indicting the mentally handicapped. The book also contains the planning and execution of a complex heist to steal drug money, a psychological experiment designed to convince an audience of a television character’s existence in reality, a miniature exploration of the career of boxing legend Wilfred Benitez and a mouth-watering recipe for empanadas. It’s no wonder, then, that the book was rejected by several commercial publishers, who perhaps found the book too gigantic to assign to a single genre or market to a certain audience. In 2008, De La Pava published the book himself through Xlibris. His wife, Susanna, who also acts as his agent, began sending the book out for reprinting with a larger press. Eventually, it caught the attention of the University of Chicago Press, which, despite rarely publishing fiction, let alone previously self-published fiction, released the second edition of the book in April. Reviews have been stellar. 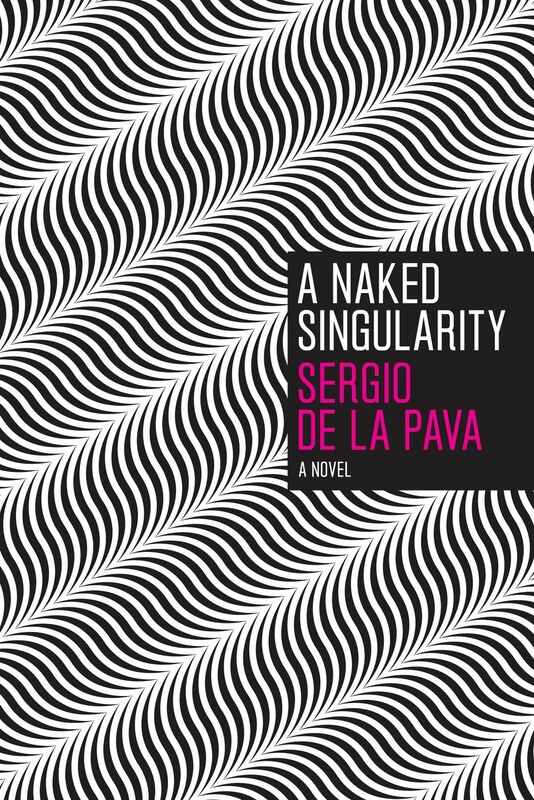 De La Pava was kind enough to answer a few questions about “A Naked Singularity” via email. What specifically about the commercial publishing industry pushed you to self-publish your book? In my case, I care to an unhealthy degree what’s between the covers of a novel with my name on it and next to goddamn nothing what’s on the spine. Same goes for most of the attendant nonsense that comes with certain spinal colophons. This novel is gigantic, its themes are numerous and varied. What was the starting point? How did you plan the book? If there was ever a point when it became too colossal, how did you reign it back in? The initial plan was a very general one, but it envisioned an end product quite similar to what eventually became actual, so a general plan that grew in specificity daily. For whatever reason, I find it useful to work that way, back to front you might say. It’s clear this book required a lot of research. How would you explain your research process? How did you organize and maintain the material you intended to use? It didn’t feel like research. It felt more like opening your mind to the invisible skeleton that supports entities as diverse as Wilfred Benitez, learned helplessness and modal realism. The more you do that, the more a sinuous connectivity emerges and the more you want to learn about those component parts; which, yeah, involves things like reading and watching fights, etc. But it’s not an activity you engage in to then write the novel, rather, the novel itself is a way of making sense of the activity. I’m currently working on another novel because novels are what I believe in and, at the moment, this mostly manifests itself in a lot of sightless staring and trying to mentally cultivate that openness I’m talking about.